The second edition of this major textbook clearly shows how sociology can inform professional social work practice in the twenty-first century. It provides an easy-to-follow, jargon-free introduction to sociology for social work students, with crucial links to practice across a comprehensive range of topics. The need for an appreciation of the insights sociology has to offer about our world and our actions within it has been underlined by recent reforms to social work education, and the new edition furthers its commitments to this goal. The book shows how sociology is an exciting and relevant topic to social work with a variety of service user groups, and supports and extends students learning through carefully designed pedagogical features. Richly illustrated with evidence and examples, the book uses engaging case studies to demonstrate the relevance of sociology to everyday practice. 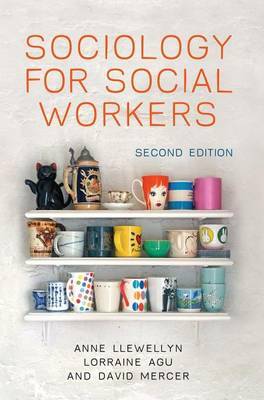 The new edition has been fully updated to explore contemporary issues for social workers, locating these in the context of global changes and strengthening its application of sociological theories to social work practice. Sociology for Social Workers will continue to be an invaluable teaching and learning resource that takes seriously sociology s capacity to contribute to positive social work practice.